Qualifications: B.E. in Computer Science or MCA or equivalent from a Govt. recognised university/institute. Qualifications: Three years Engineering Diploma@ in Electrical/equivalent trade from a Govt. recognised University/Institute. Qualifications: Three years Engineering Diploma@ in Electronics/Electronics & Communication/equivalent trade from a Govt. recognised University/Institute. Qualifications: Three years Engineering Diploma@ in Mechanical /equivalent trade from a Govt. recognised University/Institute. Qualifications: Three years Engineering Diploma@ in Civil/equivalent trade from a Govt. recognised University/Institute. UR & OBC (including Ex-servicemen) candidates are required to pay a Non-refundable fee of Rs. 375/- (inclusive of bank charges of Rs. 50/-) and SC/ST are required to pay a non-refundable fee of Rs. 125/- (for processing fee, inclusive of bank charges of Rs. 50/-) for each post. 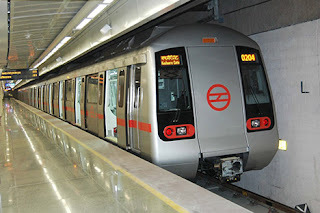 Candidates are required to apply online through www.delhimetrorail.com. No other means/mode of application will be accepted. Once you submit your application, the system will generate a unique Registration No. and generate a Registration Slip, which will have unique Registration number, your basic details like name, category, and post applied for. Candidates are advised to take 2 (two) print outs of the Registration slip. 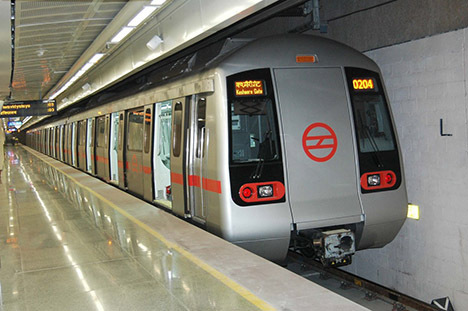 One copy of registration slip, duly filled, along with all relevant documents should be sent to DMRC Limited, Post Bag No. 9 Lodhi Road Post Office New Delhi- 110003. Online Registration Will Start From 25.04.2013 (10 hrs). Last Date for Registration of online Applications: 16.05.2013 (23: 59 hrs.). Last date for receipt of printed registration slip with requisite documents/photo by ordinary post 28.05.2013.